Your donation brings them hope. The Global Emergency Response Coalition is looking for an Executive Director! PepsiCo Foundation and BlackRock have each offered a $1 million matching gift to save the world's hungriest people. Every dollar you give today will be matched, dollar for dollar, up to a total of $2 million. 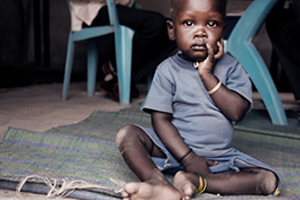 Sadly, children are the most vulnerable in a hunger crisis. Whether cut off from food by drought or ongoing violence, the youngest victims of this global hunger crisis need your support. Time is of the essence. Nearly 1.4 million children are at risk without immediate relief. Learn more about this humanitarian crisis and how you can help today. Right now, crises in Nigeria, Yemen, South Sudan, Somalia, and neighboring countries threaten more than 20 million people with starvation. In the 2011 hunger crisis, the international community failed to act in time and 258,000 people died in Somalia alone. More than half were children. We cannot let this happen again. 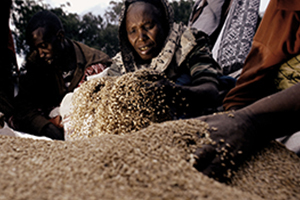 Find out what we’re doing to fight hunger. Eight leading international relief organizations have joined forces to form the Global Emergency Response Coalition. We’re positioned to fight hunger in the most impacted areas. Your donation increases our reach to deliver relief where it is needed most. The collective generosity of Americans can and will save the lives of children and their families at risk of starvation. Help us stop hunger now. The generosity of Americans can reach far and wide. Join the Global Emergency Response Coalition with a donation today.